But he’s become the world’s best object lesson regarding U.S. immigration law and policy. 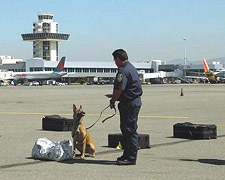 In his latest kerfuffle, reported on by CNN, U.S. Customs and Border Protection (CBP) officials searched his private plane, interviewed him for “several hours,” and brought in the trusty drug-sniffing dogs before letting him back into the U.S. from his recent trip to Canada. (CBP are the same folks who meet you at the airport or border, examine your passport or other entry documents, and ask whether you’re bringing in any drugs, snakes, explosives, and so on before they hopefully wave you in).